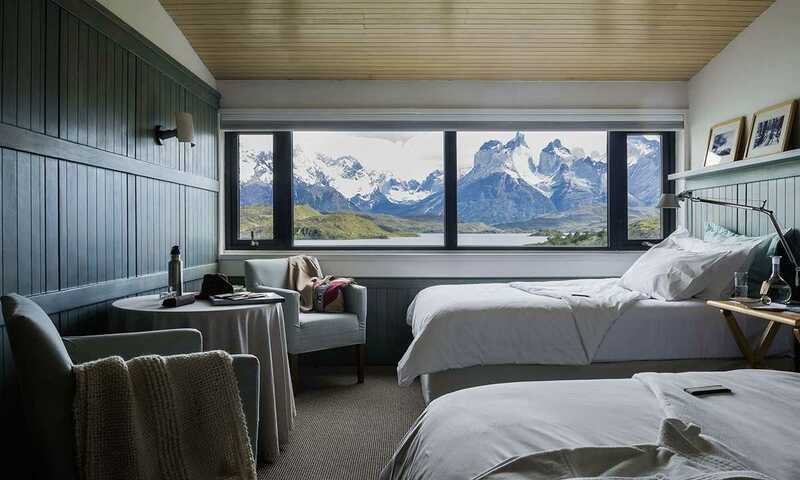 The original luxury lodge in Patagonia, Explora is nestled in the heart of Torres del Paine National Park and enjoys incredible views of the towers. Its location means access to key areas in the park couldn’t be easier and it boasts its own waterfall, stables and boat for direct access to the French Valley trailhead. Amazing. The treks were phenomenal and Explora was an unbeliavable hotel. The excursions were great, food was very good, and the views from the rooms were phenomenal. Staying at Explora at Torres del Paine was hands down amazing. It is like staying at the Four Seasons but with a better scene since it is in the middle of nature. The guides and excursions were phenomenal, made changes to accommodate children, service was exceptional and food was delicious ..... The best experience we had throughout our 19 days in Patagonia. Explora Patagonia was wonderful! We had a drop dead gorgeous view from our room, the staff was great and the excursions (and guides) were fantastic. The food was also great. The scenery was amazing! We were so impressed with the level of customisation and levels of ability of the hikes. The highlight of the entire trip was Torres del Paine. The Explora hotel is beautiful and the hiking on the W was the best we experienced. The spa, the guides, the surroundings were all unbelievable. Explora hotel was excellent, the best location and the staff were wonderful. My husband loved the horse riding and excellent stables. We felt so safe and looked after. 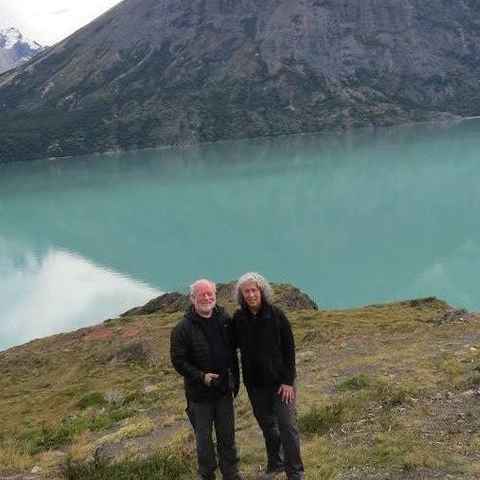 The hotel offers a staggering choice of over 50 guided hikes and horse rides. Groups are small (1-8 people, 8 is normal in high season), and are led by experienced guides from the hotel’s own School of Guides. All abilities are catered for, with four levels of difficulty and half- or full-day activities. All excursions are included in the all-inclusive programme. If horse riding is your passion, Explora Patagonia is the hotel for you. Its range of rides are hard to beat, and no other hotel has their own stables or breeding programme. The Explora was the first luxury hotel to open in Patagonia, in 1993, pioneering the fully-inclusive excursions experience. Despite being nearly 25 years old, it feels just as modern on the inside as a new hotel, and has the added benefit of over two decade’s worth of experience. The spa is located 100 metres away from the main building, connected by a sloped wood path. It is equipped with a heated, covered pool, a sauna, and four open-air jacuzzis with views to the Paine River. There is also a massage room where you can enjoy an essential oil massage. Explora Patagonia is the only hotel in the area with its own horses, bred and trained especially by the hotel for their guests’ horse expeditions. Their 26 horses of different breeds and crosses have been raised in the Ibáñez family estate in the central valley of Chile. Care of the horses is the responsibility of Gaela Hourcq, a veterinarian horse specialist, and her team. Gaela has over 15 years of professional equine experience, having worked in prestigious stables worldwide. She has been with Explora for five years, supervising the breeding, raising, breaking, feeding and care of the horses. 53 km from the hotel, is the Estancia 2 de Enero, a 6,000-hectare ranch property of Explora, which is particularly suitable for more advanced riders. 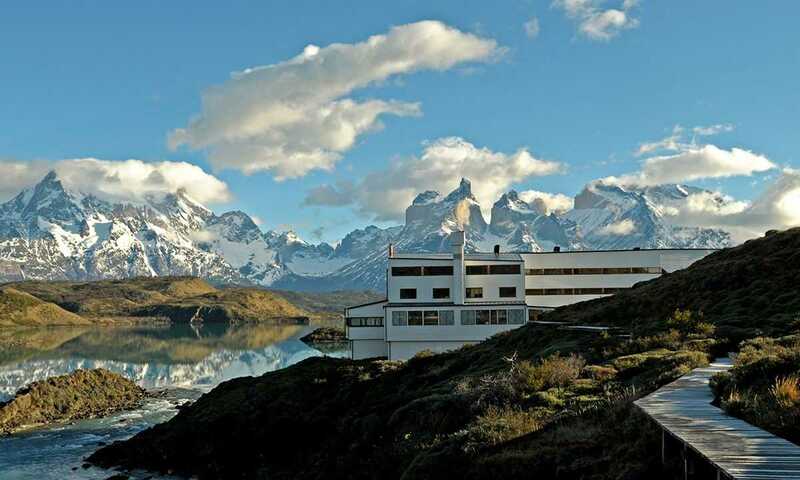 Explora Patagonia is the only luxury hotel located within the Torres del Paine National Park. The hotel sits on the shores of the turquoise Pehoé Lake, alongside its own waterfall, Salto Chico. The location offers convenience, endless excursion opportunities, and dramatic views of the Torres del Paine Massif. The hotel is conscious that its guests may have physically strenuous activities during their stay, so they endeavour to provide food that is substantial enough to sustain them but that feels light and healthy. They use quality ingredients, and focus on bringing out the best of each product and offering pure flavours. They offer superb Chilean wine as standard with all meals, but there is also a menu of Premium wines for guests that want other alternatives. The Explora’s location is truly spectacular, I felt like I could reach out and touch the massif. I loved the nooks and crannies of the lounge area, with lots of places to enjoy a fire, a glass of wine and, of course, the view. A four-night stay in a double room in the 2018/19 season starts from USD $3594. The rates include airport transfers, all excursions, use of the spa (additional cost for massages), breakfast, lunch and dinner, an open bar (additional cost for premium wines). The minimum stay is four nights in high season (December-February), with set departure dates, and three nights out of season. All 49 rooms of Explora Patagonia are designed to take full advantage of the silence, privacy and spaciousness of the surrounding landscape, ensuring deep rest after a long day of hiking or riding. Rooms are deliberately not equipped with televisions or Wi-Fi, to enable guests to disconnect from their everyday routine (these services are available in the hotel’s common areas). The Explora boasts 49 rooms with awe inspiring views, silence and privacy. They have hydromassage baths, and beds designed for a deep sleep to recover from your day's exploring. Salto Chico Room 7 rooms measuring 28m² (300 feet²). View of the Salto Chico waterfall. Cordillera Paine Room 36 rooms measuring 28m² (300 feet²). View of Macizo del Paine. Exploradores Suite 6 suites measuring 42m² (450 feet²). View of Macizo del Paine. Awasi takes seclusion to another level. Stay in one of just 14 cabins on their private reserve, with views across the Patagonian steppe and the Torres del Paine massif.